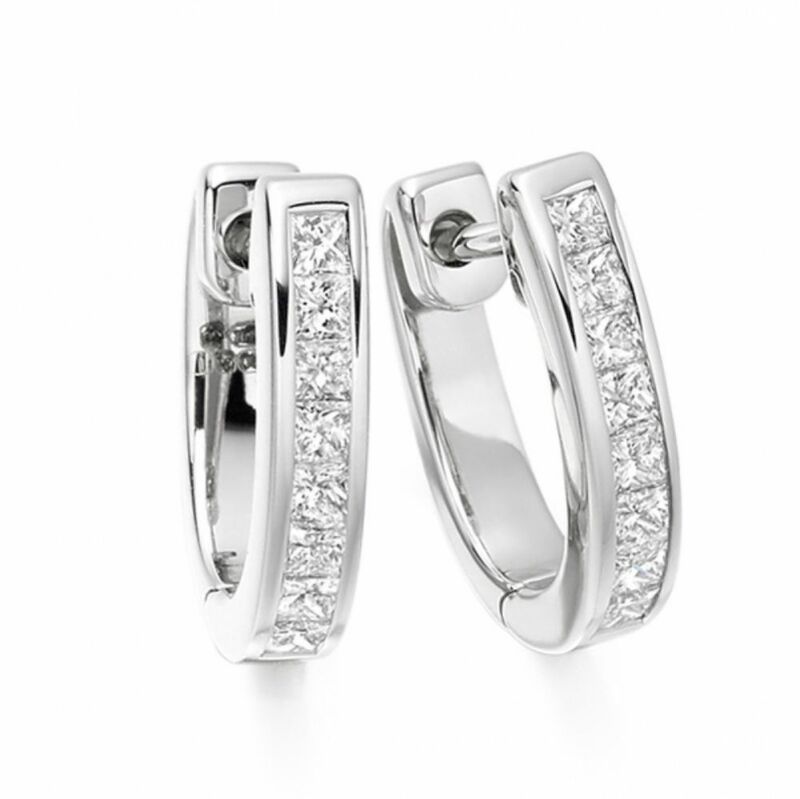 A Channel set hooped earrings channel set with a matching set of Princess cut diamonds. The hypnotic sparkle of the Princess cut Diamonds are truly ignited within these majestic hoop earrings. Held discreetly, yet securely within the invisible channel setting, the quality Diamonds are exquisitely displayed. The total 0.50 carats of Diamonds, 16 x 0.03cts, have been graded F Colour, VS1 Clarity prior to being expertly set and the finished earrings rest gracefully on the earlobe allowing the natural radiance of the Diamonds to shine. You can select finishes of 18 Carat White, Rose or Yellow Gold and 950 Palladium or 950 Platinum. Please allow 4 weeks for delivery as each pair of precision set earrings are crafted to order. 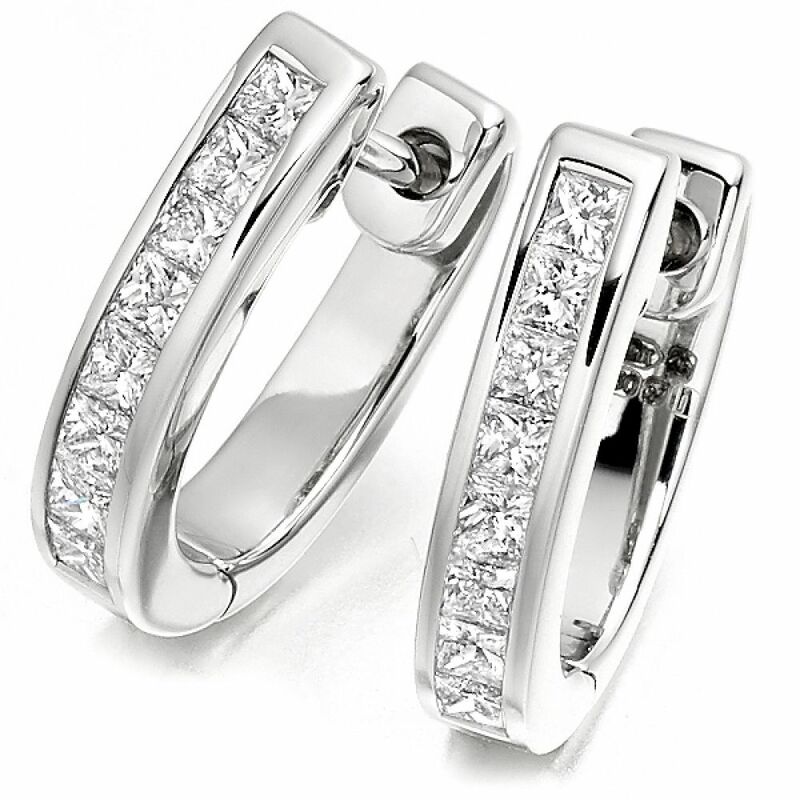 Your earrings will then arrive with you beautifully presented, ready to be the centrepiece to grace any outfit.